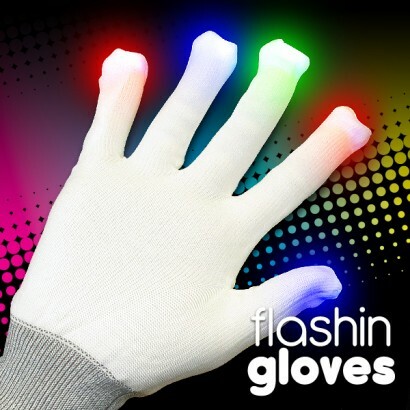 Light up your finger tips and dance with your hands taking these amazing Light Up Gloves through their impressive colour change flashing display. 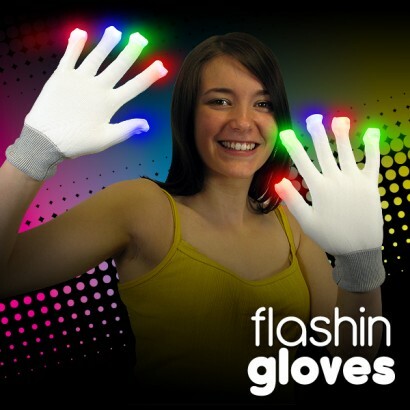 Available in white cotton or black knitted with white tips, these super funky gloves are fantastic for performance or just for fun! Available in white cotton or black knitted with white tips! 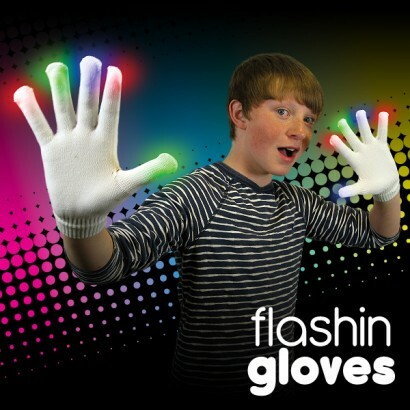 only fits small/medium hands not large. 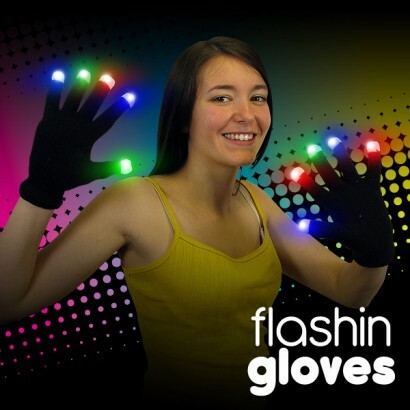 Very colourful, lots of bright settings, easy to turn on/off, the wife said the glove even kept her hands warm. 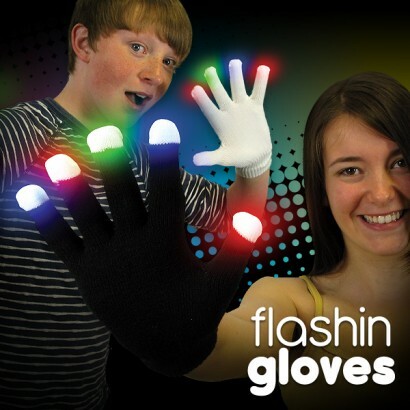 I ordered 3 pairs of light up gloves, unfortunately 1 pair didn’t work. I emailed and within a couple of days a new working pair arrived. Great customer service, which is rare nowadays. 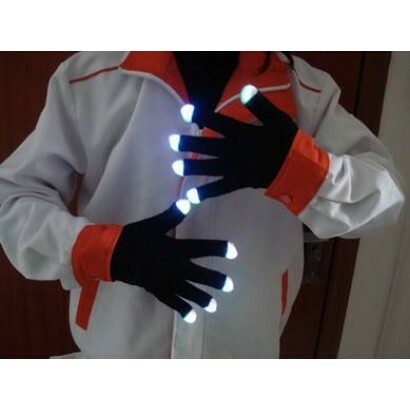 These were thinner and more wearable than I thought and the lights are so bright! Ordering and delivery was also really easy.